First published on PlacemakingResource (March 2019) and reproduced with kind permission. New commercial units offer opportunities for businesses to set up in the town. (c) Neil Harvie. Located only nine miles south of the historic city of Bath, Radstock has a separate industrial heritage. The former railway lands, which have been redeveloped, crossed the town. They linked the town’s collieries and industry to Frome and beyond. The last mine closed in 1973 and the site lay largely vacant throughout the late twentieth century. This development, completed last year, was an opportunity to further the town’s post-industrial journey. The narrow, steep-sided valley determines the shape of the development brought forward by the Norton Radstock Regeneration Company, a community regeneration initiative. The distinct, elongated shape is split between the town centre, to the north, and the edge of the settlement, to the south. It is full of complexities, including a meandering brook, established trees, heritage assets and a national cycle route. These features, alongside the need to promote the town centre’s vitality, add up to a proposal full of opportunities as well as challenges. The project has had a long journey since the mines closed, with individual owners bringing forward schemes. In the late 1990s, the local community took a bold move to form the community regeneration company, and purchased the site with funding under the government’s single regeneration budget. Eventually it appointed the housebuilder Linden Homes to promote and develop a single, coherent mixed use scheme that is now completed. The long, narrow site has been developed with around 190 homes and apartments, shops and business units on a meandering street layout. This layout limits its ability to properly create new incidental spaces and frontages, such as addressing the tree belts and the brook, which remain channelled at the rear of new homes. 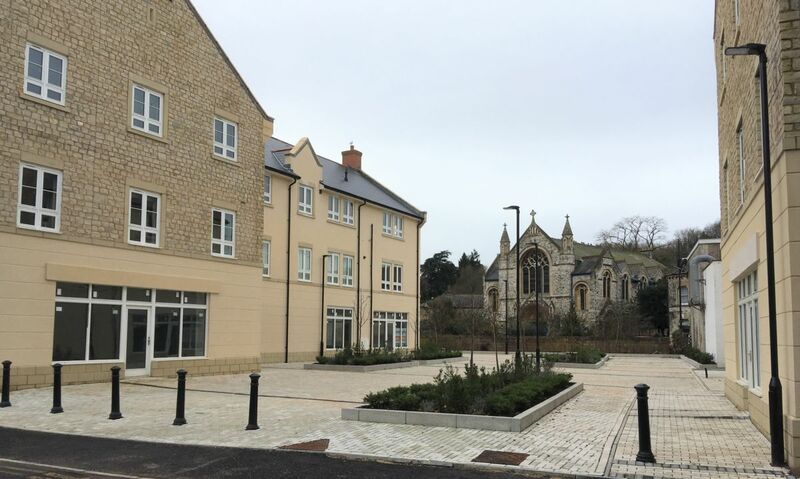 There is a positive frontage onto the cycleway, and a new public square has been created as a setting to the Methodist church. Highways are a challenge with five main roads converging in the town centre. Many town centres, though, have sought to moderate speeds and create a pedestrian friendly environment. This scheme seems to run counter to this trend, with new mini roundabouts, roads and road widening. A more rational layout may have been more efficient for new homes, creating spaces and comfortable pedestrian movement. Such an approach could have drawn inspiration from the structured industrial forms that would have once been the tracks, sheds and yards. There are a lot of ideas in the development, and a clear drive and aspiration that comes across both in planning documents and the built form, but they are not necessarily coherent or implemented to the best degree. There is a clear dominance of limestone, which has been inspired by the local vernacular. Its prevalence sits awkwardly next to low grade stock brick in other parts of the new building. This shows a tension in the cost of the project. It may be more effective and aesthetically convincing for the project to take inspiration from the local architectural features – such as the symmetry, roof forms, entrances, etc – to enrich the scheme. Such an approach would have responded to other cues and given focus to elements, and would probably not have affected the viability. The new public square creates an attractive setting for the church (shown above, PIC courtesy Neil Harvie). However, there is a wall and hedge cutting the physical link to the church and the adjacent shops. The town was missing a small enclosed social space but this could better relate to shops, bus stops and areas of higher footfall. The new commercial units aim to create active frontages, but a disjointed flow of spaces probably contributes to them still being vacant. There is one office that is occupied and it has blocked out its windows. The scheme has addressed the poor ground conditions, but design issues could have been addressed better, by going beyond materials and functional roads and creating spaces that respond to the retail environment, enjoyment and play. 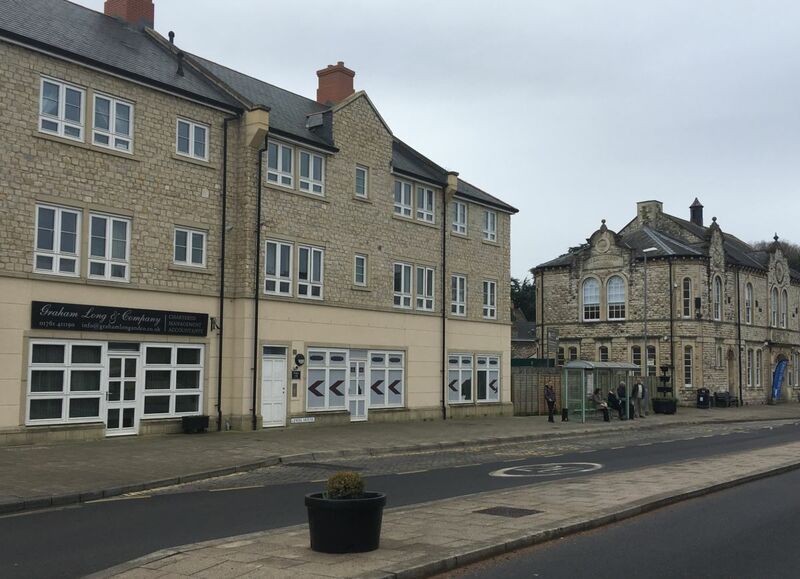 The new development forms an integral part of the town centre, reintroducing some housing, bolstering the catchment population to the town’s shops and supporting the town’s museum. This development has also acted as a catalyst for more schemes in the town. A housing-led mixed-use proposal has come forward on an adjacent superstore site.